The field of dental assisting is growing fast, with the Bureau of Labor Statistics expecting a 35.75 percent increase in the labor force between 2008 and 2018. Not only is the field a solid career to pursue, if you're interested in becoming a dentist or dental hygienist, working part-time as a dental assistant can help you gain important experience while giving you the flexibility to pursue further education. 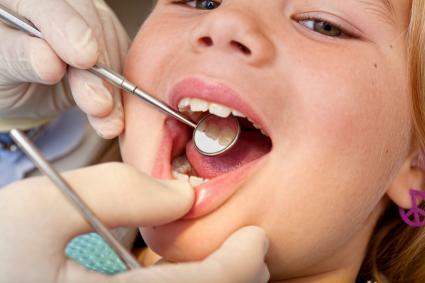 Check out what most dental assistants can expect to do while performing this job. One of the best things about becoming a dental assistant is that most of the training is done on the job, so there's little required education to complete before acquiring a position. Because the field is growing so quickly, more community and technical colleges are offering educational training in dental assisting. In fact, in 2009 the Commission on Dental Accreditation (CODA) approved 281 dental assisting programs nationwide. Most of these training programs take less than a year to complete, providing coursework and lab work designed to provide students with the knowledge they need to comfortably take on dental assistant positions. Whether you attend a college program or not, you'll need to undergo on-the-job training under the supervision of the dentist or other dental assistants. If you haven't gone through a training program, this on-the-job training is likely to be more intensive and involve everything from teaching you how to identify and use dental equipment to proper patient interaction. If you have attended a dental assistant program, most of the training will focus on office-specific tasks like using the computer system and filing records correctly. Each state specifies the role of a dental assistant, and some states may require additional certification or licensure if you want to expand your role and perform additional tasks. You may choose to become a Certified Dental Assistant (CDA), a certification recognized or required by 37 states. You can receive this credential by sitting for an exam following the completion of a CODA-accredited dental assisting program or following the completion of two years full-time dental assisting work or four years part-time dental assisting work. The daily tasks of a dental assistant will vary from practice to practice. Some practices will give dental assistants more lab-focused roles while other practices will give dental assistants more clerical roles. After you find a position, you can expect to make roughly $32,000 per year if you're working full time, although the highest 10 percent of dental assistants command more than $46,000 each year according to the BLS. Whether you want to pursue dental assisting for your whole career, or simply use it as a starting point for other dental jobs, you'll be able to hit the ground running in no time.